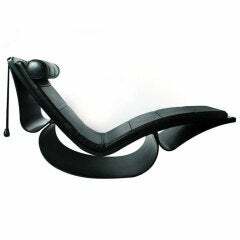 The Niemeyer Rio chaise lounge, with its unexpected curves, was born from the architect’s dissatisfaction: Niemeyer believed the furniture of the 1970s did not match the architectonic production that was being created at the time. He created this modern styled chaise lounge in collaboration with his daughter Anna Maria. 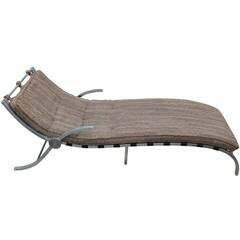 This chaise lounge is an official re-edition, authorized by Oscar Niemeyer Foundation and it has two metal stamps, that prove the authenticity of the piece. 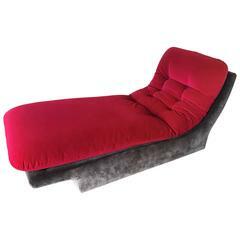 Chaise longue / longue with back pillow by Paul McCobb for Calvin Furniture, 1950s American modern. Completely professionally restored. 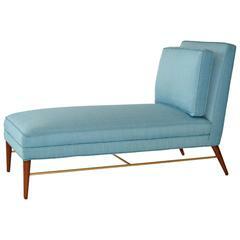 Walnut, brass, upholstery.